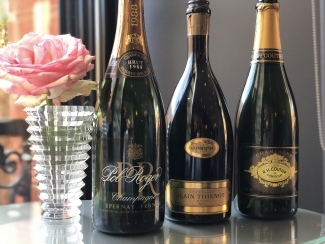 When champagne fanatic Peter Crawford organises a tasting, it is always an occasion to remember. His latest mission? 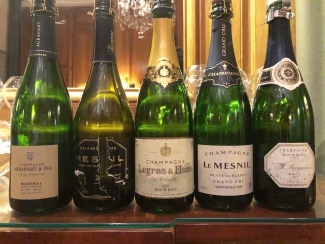 To celebrate the 30th birthday of his favourite vintage by tasting as many champagnes from 1988 that he could acquire. Impressively – although somewhat unsurprisingly given his avidity for all things French and sparkling – Crawford managed to source a quite appropriate 88 bottles of champagne from this famous year. 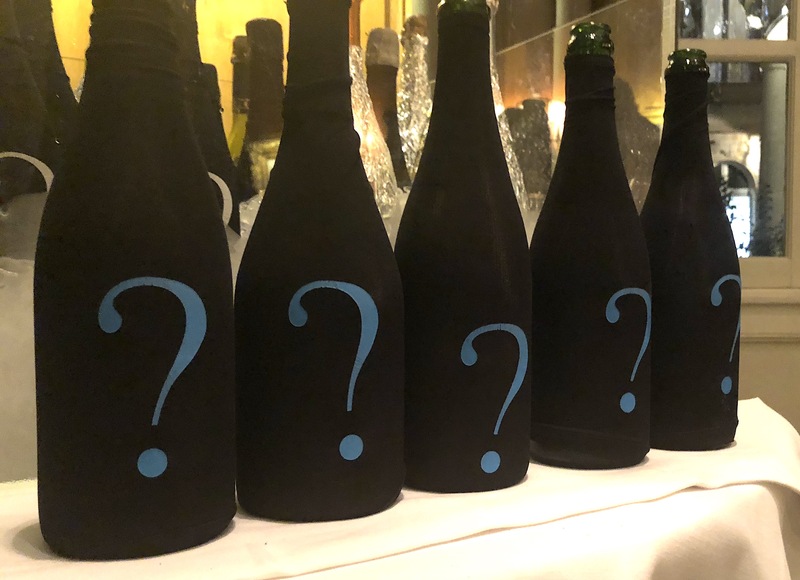 The line-up covered an array of producers and styles, from small growers to Grande Marques and Blanc de Blancs to Single Vineyards, and included an astonishing 35 magnums and a jeroboam. 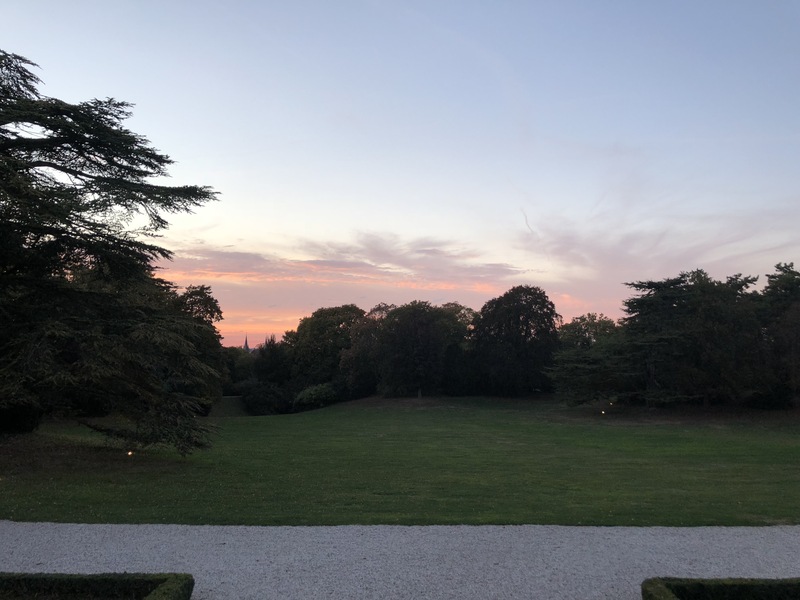 An occasion simply too beguiling to turn down, we travelled to Reims last weekend to participate in this hedonistic jamboree. 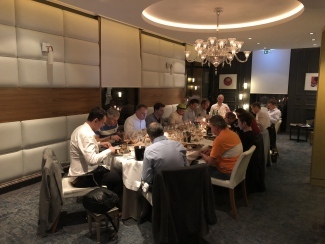 With such a huge range to be tasted, the event was divided into three parts. 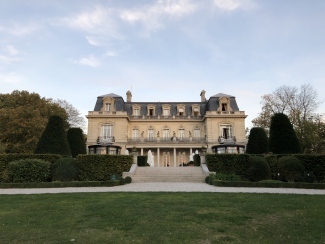 Part 1 took place over dinner at the luxurious Domaine Les Crayères, a classic French chateau in the heart of Reims boasting double Michelin-starred chef Philippe Mille and globally renown champagne expert Philippe Jamesse, and included a majority of champagnes from smaller producers with a few vintage-category blends from the bigger houses thrown in. 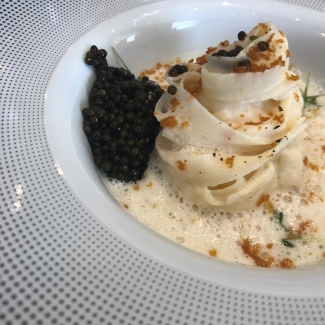 Parts 2 and 3 took place over lunch and dinner at the five-star hotel and restaurant L’Assiette Champenoise, which plays host to three Michelin-starred chef Arnaud Lallement and is almost as famous as the region in which it is located. Lunch saw us continue with the smaller growers and house champagnes, whilst dinner was a veritable feast of decadence that saw the prestige cuvées from the Grande Marques unleashed – the majority poured from magnum. Parts 1 and 2 were tasted blind and Part 3 was tasted sighted. 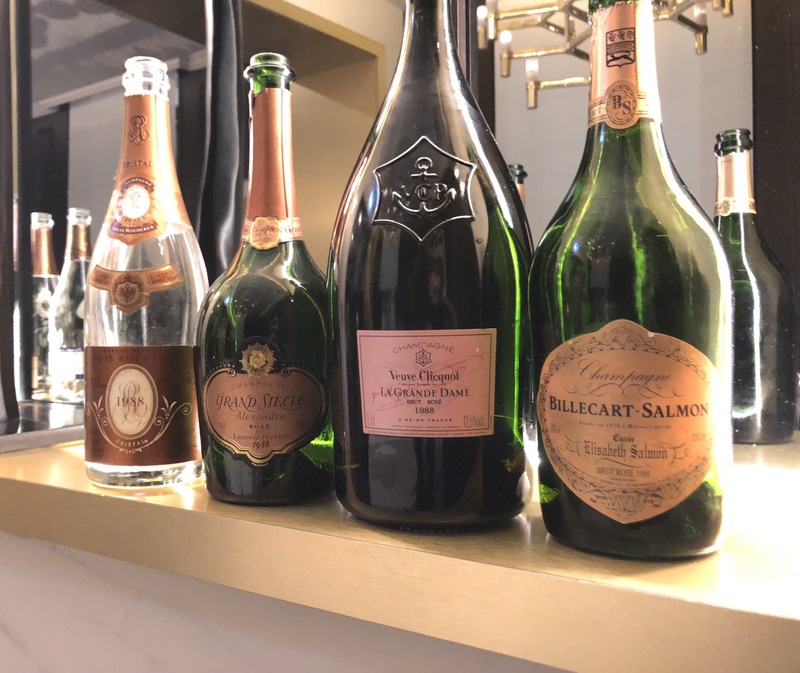 Overall, it was an unforgettable weekend of indulgent discovery that served to reinforce our respect and admiration for the everlasting power of one of champagne’s greatest vintages. Whilst some examples were inevitably beginning to display signs of oxidation, the vast majority were still stunningly youthful with years left to give. 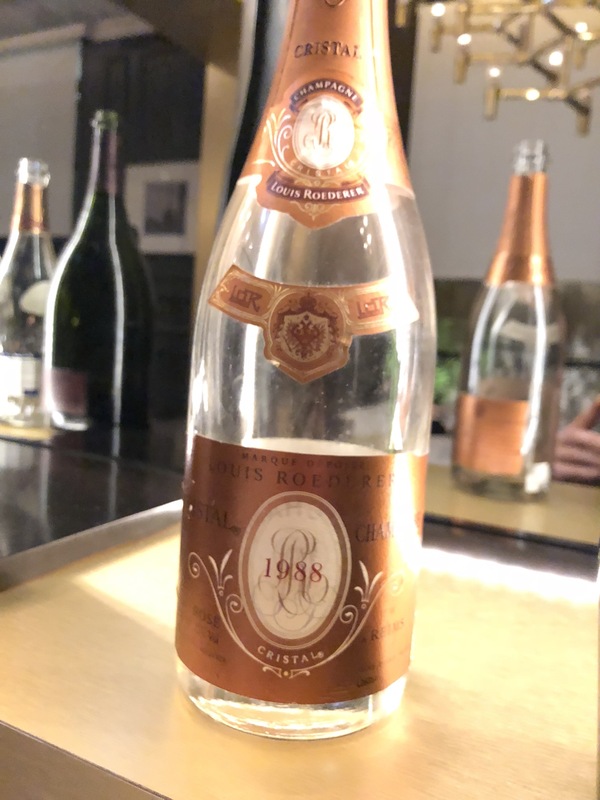 Amidst all the champagne, we were also afforded a unique opportunity to taste a reserve wine from 1988. Veuve Clicquot cellar master Dominique Demarville had kindly provided a bottle of Chardonnay still wine, produced from grapes grown in the Grand Cru village of Cramant, which is famous for producing some of freshest and most complex Chardonnay wines in the entirety of Champagne. Veuve Clicquot Cramant 1988 is a perfect example of how majestically Chardonnay can mature over decades and still retain freshness, and features in the first blend of Veuve Clicquot Extra Brut Extra Old MV. 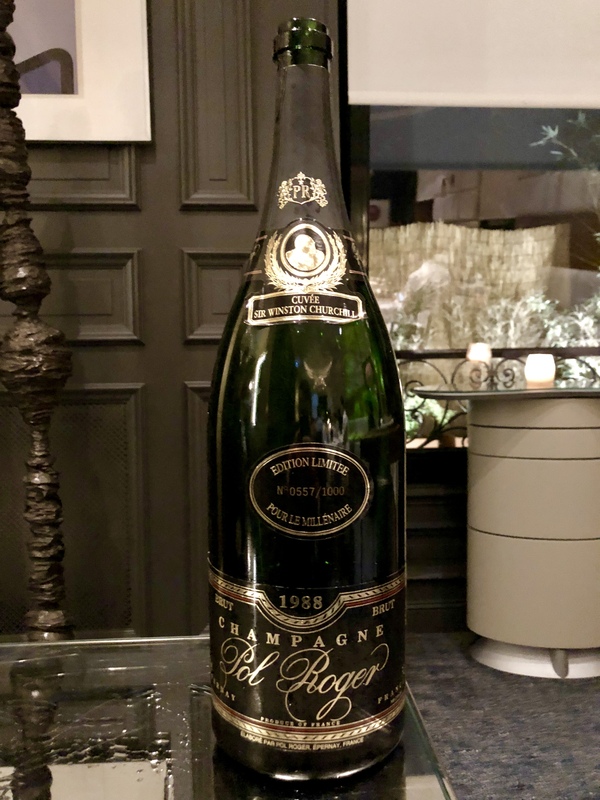 The 1988 Cramant reserve wine used in Extra Old Extra Brut blend. Big fruit nose, with lots of lychees and jasmine and an orange and marmalade character. 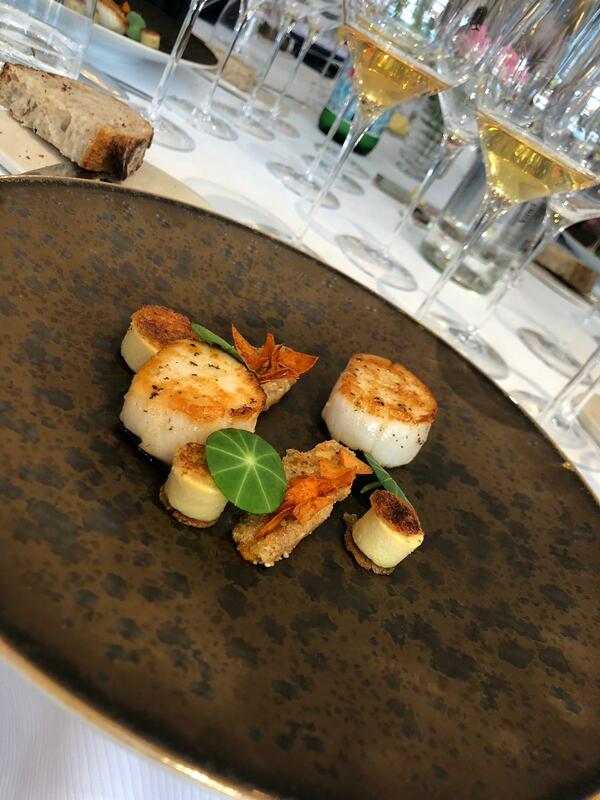 Bundles of freshness on the palate. Wow; spiciness and freshness in spades. Written after blind – a fabulous ingredient to have as a reserve wine. Thank you Dominique for sharing this! Our thanks to Crawford for having the passion to conceive of such an elaborate tasting, and the zest to bring it to reality; to the Maisons who kindly shared exquisite treasures direct from their cellars for our delectation; and to the teams at Domaine Les Crayères and L’Assiette Champenoise for matching the imposing champagne line-ups pound-for-pound with first class food and service. 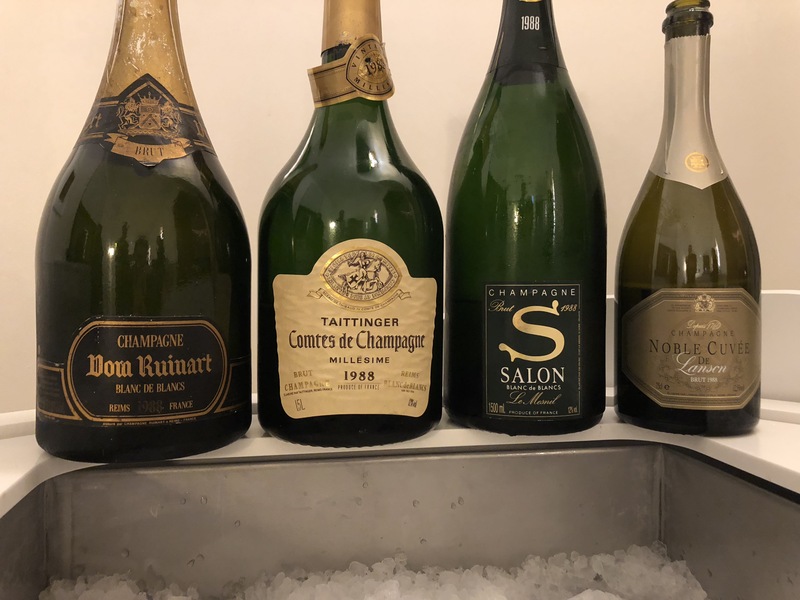 The full list of champagnes tasted are presented below in score order. 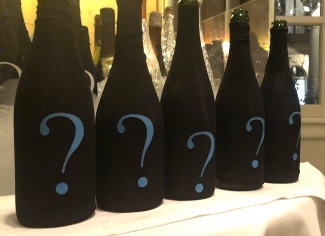 Champagnes that have scored below 14/20 or have not been given a score were faulty or unbalanced. 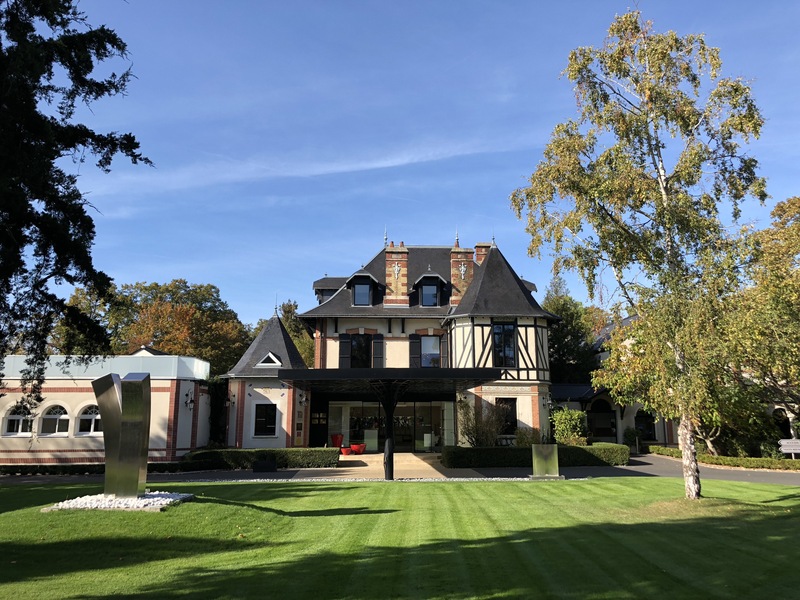 Technical information for champagnes of this age can take some time to source; this article will be updated as and when we receive disgorgement dates etc. For easier viewing, the food menus and TFB scoring tables (with and without tasting notes) can be downloaded as PDFs below. Very beautiful nose, quite floral and delicate. Wow, what great fruit this has! Acidity and freshness and lovely texture; rich and soft with loads of fruit. This ends beautifully with long length and just goes on and on. Reductive notes with hints of spice, that chalky edge and vanilla creaminess. Great texture you notice right at start, bright acidity and layers of fruit; pineapple and apricots and vanilla cream. This is very elegant and youthful, has formidable power, great length and stunning finesse. My star so far. Lovely gunflint character and loads of fruits, really ripe and lush; such great mousse and personality. This has dried grass and figs and dried apricots, with dried lemon peel and orange. Great length and freshness, loads of iodine on the end lifts it up and so fresh. This has so much freshness you could drink it for 20+ years. Wow! So many alluring qualities; orange blossom, very concentrated dried lemon and nectarine with good weight of fruit and texture. Really great acidity and dosage just seems to sit perfectly with the lees. Some salinity that lifts it at the end. Great length that goes on. Noticeably lighter, youthful colour and full on reductive toasty character. Loads of peaches and cream and dried apricots with multiple layers. Creamy custard and a great texture; this sits beautifully on the tongue making you want another glass. Very seductive nose, some reductive hints with lots of engaging elements. Very clean and fresh with good mousse and texture. Some pineapple and really ripe guava, apple pie pastry with such pleasurable texture. Very long. Screaming reductive gunflint nose, this is a good bottle with loads of lime, lemon and pineapple. Layers added by the lees character with great freshness and this reminds of a great Riesling with bottle age. The red berries come out more on the palate; raspberry and cherry. Big and powerful with a great mouthfeel, I think this will develop more in the glass and definitely in the bottle. Intensely chalky and dense dried fruits, citrus, figs and grapefruit. 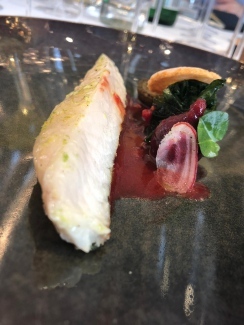 Lovely engaging palate, great texture and power on the in the mouth, with richness and freshness and wow that seaweed iodine finish. Has some real density and length. Original disgorgement. Strong reductive flinty nose, loads of dark cherry and some lovely lees character adding a real creaminess. Hints of tannins from the red wine and loads of blackberry. Great freshness and just seems really youthful. Finishes with a rose petal end, very elegant. Powerful redcurrants and delicate rose water, has dark cherry and real creamy character with lees. Some hint of lemon and wow great length and that lift from the slight salty finish. Nice and clean, some reductive notes like gun flint. Vibrant fruit and energy on the palate with loads of ripe lemons and bundles of nuttiness and tangerine. The lees texture really lifting it up at the end. Nice salty finish. Very good. Original release. Hint of reductive notes and with so much freshness and bright fruits like apples and cherry and redcurrant. Great texture and so much apple and pastry. Light dosage and fresh acidity. This is a real pleasure. Lots of fresh fruit, pears and apples. Some custard and pastry character, lovely liveliness in the middle. Wow this is so young and fresh and what lovely texture. Very good. Lovely fresh pineapple with hints of reduction adding a flinty character. Quite creamy, loads of pear and ripe apples and a slight grass and hay-like character. Great texture, loads of lime and lees character and great length. Seemingly fresh with a youthful character and great bubbles coming through. Has lots of nuttiness and power and refreshing acidity, a hint of saltiness on the end lifting and keeping it light. 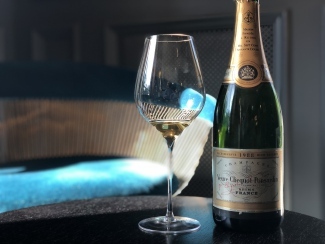 Based on 1988, the oldest wine is from 1966. Heaps of lemon fresh citrus and light lees character. Layers and layers of peaches, dried apricots and ripe fruit with lovely acidity and great length. Dried figs and hazelnuts. Texture feels so great on the tongue. 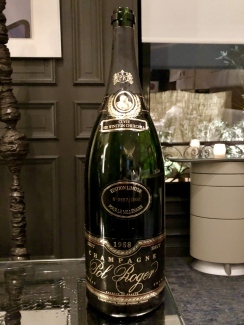 Original disgorgement, estimated 1996. Very young nose, no evolution and loads of ripe pear and chalky character with hints of jasmine. On the palate you get great weight of fruit and very bright acidity. Impressive texture, lots of lees character and some pastry creaminess with a low dosage? Dry finish that lingers. Very good. Vibrant tropical fruit with a good spritz and this is young and lively, pineapple and peaches and all those warm fruits. Freshness and texture on the palate, the acidity seems very bright and in your face so a lower dosage? Disgorged just two weeks ago! Very woody and oxidative. Distinct woolly sheep character on the nose with a great and broad mouthfeel. Good acidity and loads of lees character. Mass of nuts, apricots and raisins with coffee and chocolate. Can’t drink a lot but wonderful. Really forward lemon, concentrated lime and so much peach and apple freshness. Loads of tart tatin and creaminess. Quite soft acidity and very rich. Very good length and very elegant – a wine to sit and enjoy. Plenty of reduction, really draws you in. Has freshness and toasty notes and the acidity seems quite soft. The dosage is quite light, which has created a good balance. Loads of pastry, cooked apple and vanilla notes. Great length with a hint of iodine helping it. Spicy reductiveness and really engaging; draws you in to taste. Some creamy pastries, custard, softer acidity and light spritz. Great amount of lees character and creaminess, this is a graceful champagne. Much more powerful and creamy on the nose; romatic jasmine with slight toffee notes. Has an elegance and light spritz and good iodine lift on the end. Vibrant and long finish. Marzipan and nuttiness and fresh acidity with loads of bottle development and richness. Probably a few years past its peak as getting a bit dry. But very good level of fruit and personality. 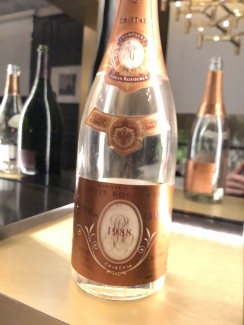 A blend of 1988, 1985 and 1982. Cork code B69. Full ripe fruits like plums come through with toasty notes, layers of lees character and nuttiness with marzipan and those forest floor hints like mushrooms and dry leaves. 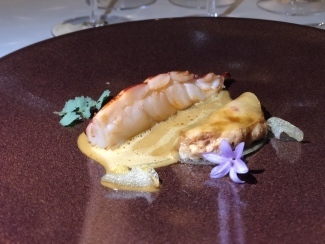 The freshness from the acidity lifts it up at the end and hints of iodine character keep it fresh with good length. Has a fresher character than the previous three, the magnum factor is showing as it is much younger and less evolved. Nice delicacy of honey and almonds with plenty of fresh acidity and light dosage. This is fresh and bright on the finish and a nice lift of salinity. Full and rich nose with lots of lees character and classiness. Feels like it isn’t trying, quite dry and fresh acidity, leaving it light despite its great weight. Initially some toffee butter and hints of hay, gooseberry and loads of chalk. Very fresh on the palate with bright acidity and a fine mousse. Very precise and generous fruit, bright acidity but does finish off short and a little bit bitter. Lots of fresh fruit and pineapple and cooked apples. Wow, great texture with lots of lees character and fresh acidity. Chalkiness, rich peach and lemons. Great length. 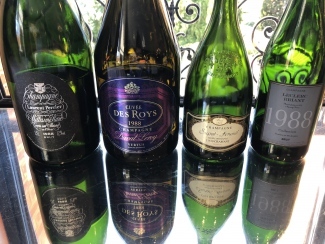 Based on 1988, with some 1986 and 1985 reserve wines. Lots of toasty notes straight out and a healthy dollop of creamy vanilla custard. Soft and gentle on the palate, quite relaxed fizz, mostly subdued. Relatively light acidity and soft creamy notes, with loads of almonds and bright lime character. Probably at its peak freshness on the end with iodine lift. Started subtle with apricots dominant, subtle jasmine and orange blossom with lemon notes. Nice gentle fizz it’s low RS and acidity forward, some peach kernels and nuttiness showing its fine age. Delicate and evolved with bright acidity and light dosage. 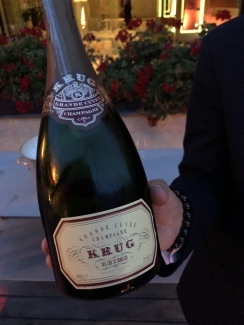 Lots of chalkiness and then layers of mushroom character with good levels of fruit concentration – reminds me of really ripe peaches and hints of dark cherries. Bright and fresh all the way through. Very golden rich colour and lovely sleepy nose, great reductive qualities with bundles of fruits and great lift of acidity and freshness with great length. Nice cooked apples and pastry notes come through on second taste. Gets better with time in the glass. Lots of peaches and menthol. Really quite forward with maturity and nuttiness and hints of cigar. Slightly meaty with cherry notes. Very soft acidity and dry, low dosage. A lot lighter, can see the colour which suggests its bottle size as most are golden. 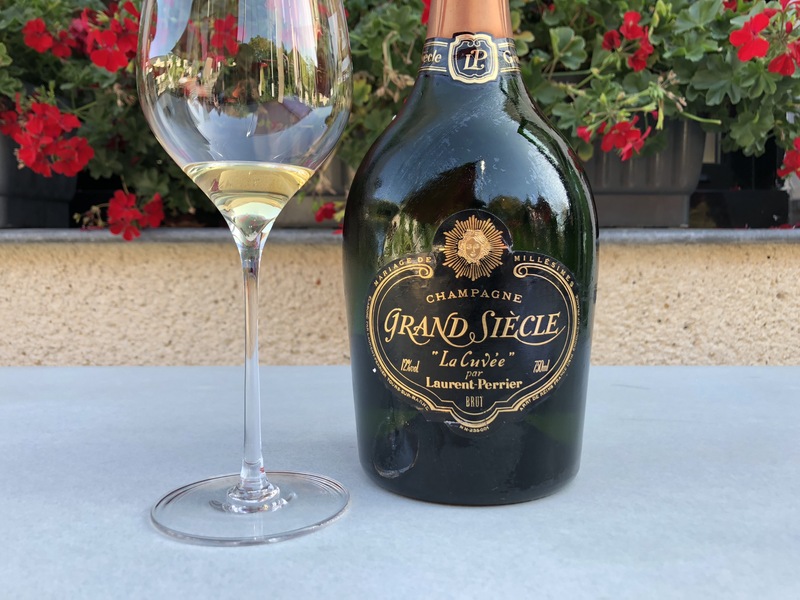 Quite reductive qualities so that match strike and flinty character, with peachy fresh fruits, loads of lees and creaminess, great bubbles and lower dosage bringing the acidity forward. Bright and fresh, seems ridiculously young. Initially get some raspberry and rhubarb and it smells quite floral. Quite high dosage, with loads of peaches and apricot and bright acidity. Has some of that old Chenin Blanc character, you think you are in Vouvray and expect sweetness. Ends fresh with good acidity. Rich candied nose with lots of marzipan and nuts. Wow, this is Demi-Sec (35 g/l), loads of sweetness and ends quite fresh with a good balance of acidity. Full of life with lime and liquorish and gunflint reductive character. 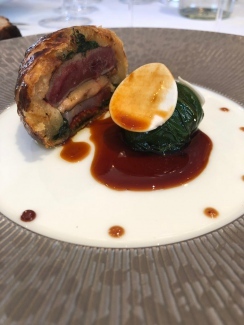 Lots of lees and pastry that gets fuller on the palate. Good richness and the fruit lingers. A little short with the trademark bitter finish. This has rich tropical fruits and a rich colour. So much richness on the palate, bit oxidative, but its got some great lees character, fruit and nuttiness. Ends fresh. Upfront and a hint of menthol. Still some youthful character, loads of freshness and peaches and cream coming out with a nice iodine lift on the end. Great length and freshness. Very forward fruits, ripeness and that balance of oxidative character. raisins and cooked apples. This is very full on with a great ending. Some of that strong golden green colour with a full on raisin nose and lively, bright acidity. Loads of fruit and nuttiness and spiciness. That combo of oxidative character and nuttiness. Lots of aromatics and distinct peach character with a real lively fizz, loads of lime and lemons and lees character. Acidity is very fresh. Medium weight, keeps going. Lighter colour, so lots of reductive character and very alive on the palate. Cooked apples, lees character, some nuttiness and noticeable dosage but enough acidity to leave your palate really fresh. Very ripe fruits, quite creamy; almost too creamy and wow how much dried fruits. Has some good acidity and richness and lees character. Lots of red berry fruits and some blackberry. Real creamy menthol character, quite dry on the palate with loads of black cherry and good texture. Bright acidity, lots of black fruits on the finish, ends a little dry and bitter. This has a forest fruit character, quite forward and rich and some great lees personality. On the palate it has concentration and bright red fruits. Good length. Quite forward, some oxidative notes coming through but there is still lots of life with peaches and lime richness, loads of honey and a fresh iodine lift on the finish. Seems restrained after the earlier three, some hints of evolution though. Loads of ripe apple and pineapple and the freshness on the palate is there. Seems slightly aggressive by itself so will enjoy this with the next course. Very forward ripe fruits with some oxidative qualities. Great texture, really ripe fruit and so much raisin and mushroom and layers of lemon and lime. Wow, what a nice freshness and really coffee and chocolate finish. Lots of evolution with some red fruits hiding behind the power of peaches and cream and moderate oxidative notes. Great texture and lots of lemons, oranges and fresh acidity. This has lots of fresh ripe fruits, some raspberry and loads of dried fruits like lemon and lime. This is really complex and long with loads of things like coffee and chocolate. Initially reminds you of liquid toffee with lots of apricot and peaches. Hints of age with a real nuttiness and dried fruits and more freshness with the acidity and power. Ends really gracefully. 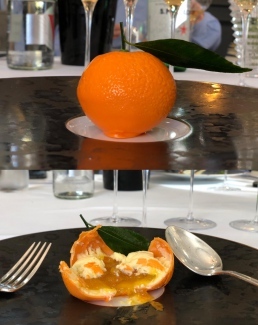 Some orange character with caramel leads onto peaches and apricot and loads of dried fruit, followed by lemon citrus and more clementines and peaches. Great freshness from good level of acidity and hints of salty iodine on the finish. Peaches and apricots and distinct toffee notes. Loads of dried fruit and fresh acidity. This has subtlety but is very big. Finished well with salinity. A lot of peach kernel, some evolution and good freshness on the palate. Loads of fresh bubbles, guessing recent disgorgement, acidity quite bright, dosage quite low and loads of lemon and lime. Not overly complex, but good. Dark amber with evolution and raisin character. On the palate it gives more; loads of lees, raisins, cooked apples, pastry and nice refreshing acidity. Its now almost gone completely still, but the palate is nice. Quite dark golden colour with evolution and a rich lemon character. Dried apricots and lees with dried fruit concentration. Quite dry and fig-like fruit. Quite short. Probably not a good bottle? Very reductive nose; so those gun flint characters and then you get into it and has lots of pear and cooked apples and a hint of cinnamon. Some creaminess and quite a soft and round palate with good lees character and a rich balanced palate. Big forward gun flint nose with lots of berries and lees. This doesn’t seem like a really recent disgorgement as seems to have too much bottle age characteristic. Has some fruit stripped, as this has way less fruit than the P1, which is very generous. Bundles of red berry fruit with hints of menthol character. Some of those red fruits come through on the palate, the acidity is quite forward and the fruit seems quite light. I am guessing this isn’t a great bottle. Lots of evolution and almost charcoal-like character. Loads of cooked apples and fresh acidity and some lime with a rich texture, but quite a bitterness on the finish. Direct from the Maison, original 1996 disgorgement. Bright fresh peaches and apples, with that slight wet wool character and lots of tart tatin, balanced acidity with dry finish. Light raspberry and quite menthol with lots of strawberry, blackberry and fresh acidity. This is a little aggressive than the last two and finishes quite short; the acidity comes forward. Lots of apricot and nuts. Bubbles are quite light. Some good nuttiness and apricots on the palate as the oxidative notes come forward. A little dried out at the end. Lots of baked apples and hints of herbaceous character. Very dry and slightly grating on the palate. Seems a bit out of balance. Quite floral and feminine and slightly chalky, smells bitter but how can that be? On the palate this has quite a bit of TCA that is killing the fruit… hence the bitter smell. Rich, deep golden colour with loads of development, nuttiness and loads of almond character. Dried raisins, fresh acidity and good length; finishes a little bitter. Rich, golden colour shining in the light. Quite subtle and almost shy at present, has a hint of TCA but not bad – its bringing the acidity forward. Some good fruit still holding on but just no luck with this one as fruit has been stripped back a little. Gone quite orange and the nose is quite evolved. Can feel the texture on the palate, has lots of cooked apples and hints of creamy pastry. Wow lots of sweetness that masks the oxidised character. Probably would have been great 5+ years ago, now on its decline. Some musty character, quite forest mushroom character with some blackberry. On the palate has lots of honey and seems quite aggressive. Lots of acidity and finishes bitter. Guessing this isn’t quite right. Very evolved nose with lots of cooked apples and dried raisins. Seems very advanced with bright acidity, raisins and cooked apples. 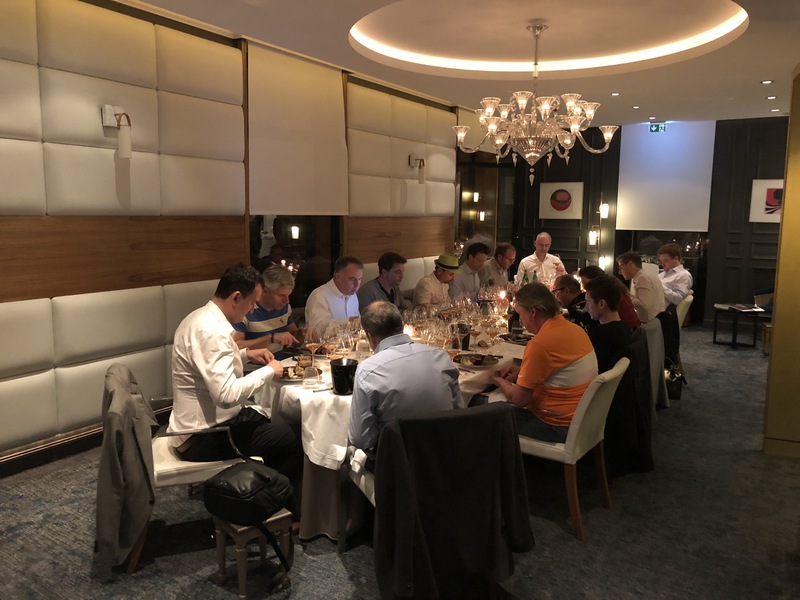 Quite concentrated but now with age seems out of balance with the oxidative character taking over; leather and things are coming too forward. Lots of amber colour with an advanced nose, some softer acidity and more dosage. Almost a still wine with a bitter finish. Lots of pastry and cooked apples. Bright acidity and some black cherries in the background with lees character. Again, a little too old. Has quite an advanced sherry-like nose with wet wool and quite a dried out palate. Loads of nuts, acidity and dried fruits. Guessing it would have been shining 10 years ago. Showing lots of evolution with ripe apples and peaches. Very soft bubbles and very bright acidity on the palate. Quite short and a hint bitter on the finish. Just a little too old. Very amber gold, darker than most with green hints. Very oxidative and bright acids – leaves you a bit in shock. This seems a long way past its drinking window. This has a hint of TCA, hence the fruit is stripped and the acidity is forward. Some nice fruit under there – you can still see some of the greatness, but a bad bottle. A real shame! Spoilt by TCA. A great shame! Sadly, both bottles badly spoilt by TCA. Damp cellar smell, a little musty with some tart tatin behind it. Has slight TCA on the palate which accounts for the musty nose and bitterness at the end. Perhaps not a good bottle. On first pour had a little mustiness and then the toasty and roasted character came out a little. Can see the reductive nose, the trademark Rare character. The musty character dominates the mouth and the fruit which this normally has in bundles is stripped. Unfortunately this bottle is only about 60% right. Very distinct reductive gunflint nose. Has a short and sharp mouthfeel, the normally generous fruit has been stripped; a causality of the cork. You can still see the fig and hay character and just finishes quite hard and abrupt. What a shame, damn corks. Sadly, this has very bad TCA. Has some light strike – those dirty drain notes; this is quite aggressive and unbalanced. An incredible flight of 1988 prestige cuvées! Krug Grande Cuvée Edition 144 NV – for apéritif! Delicious mandarin for dessert: before and after! 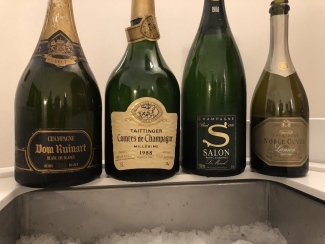 So that’s what a table of 88 champagnes from 1988 looks like!